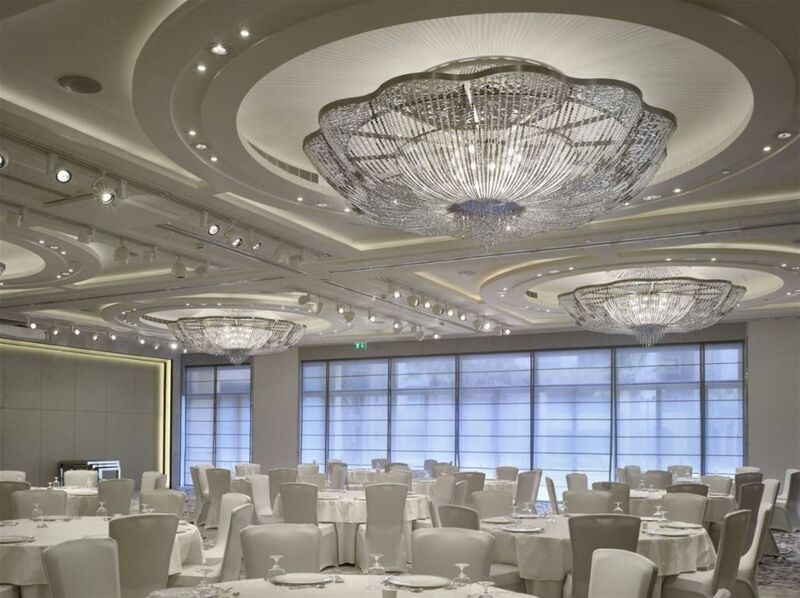 Kempinski Summerland Hotel & Resort Beirut is located in the heart of the historic city. 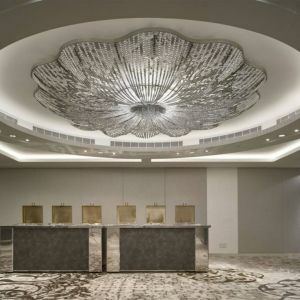 Mediterranean flair is the overall design feature for all of the hotel interiors. 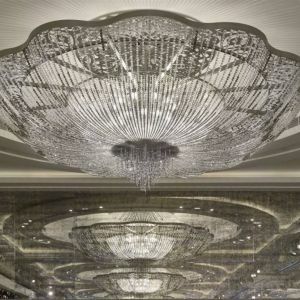 A mesmerizing and iconic city resort, it offers a vast array of leisure and business facilities. 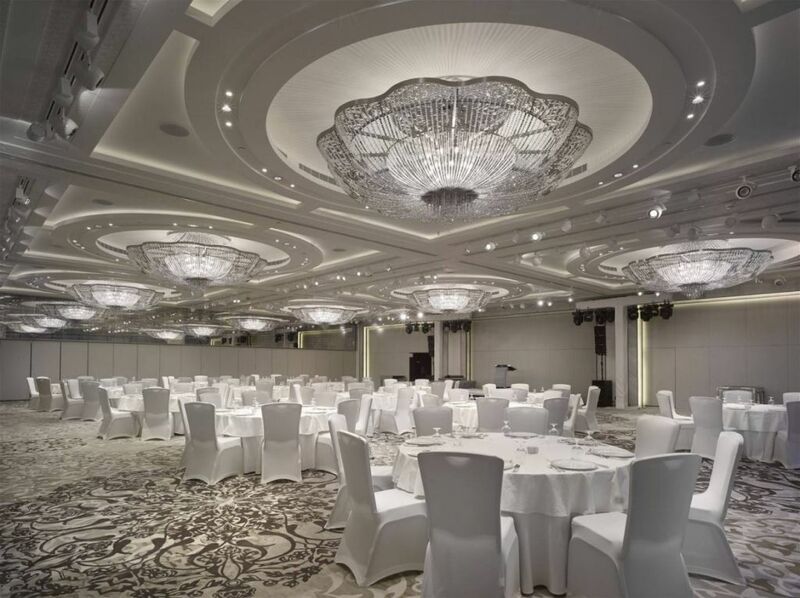 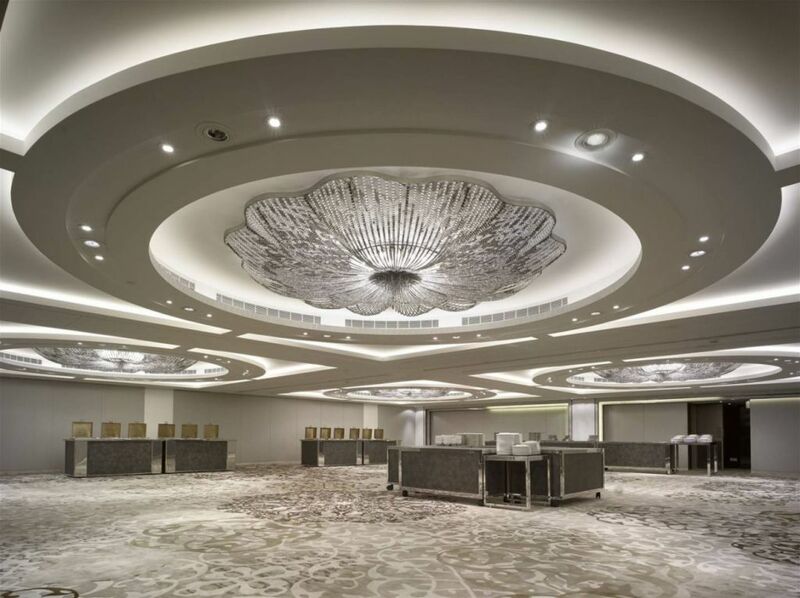 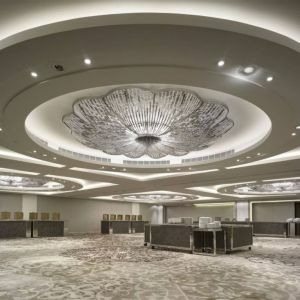 A spacious multifunctional Waltz ballroom with natural daylight has direct access to the resort, and may be divided into two areas. 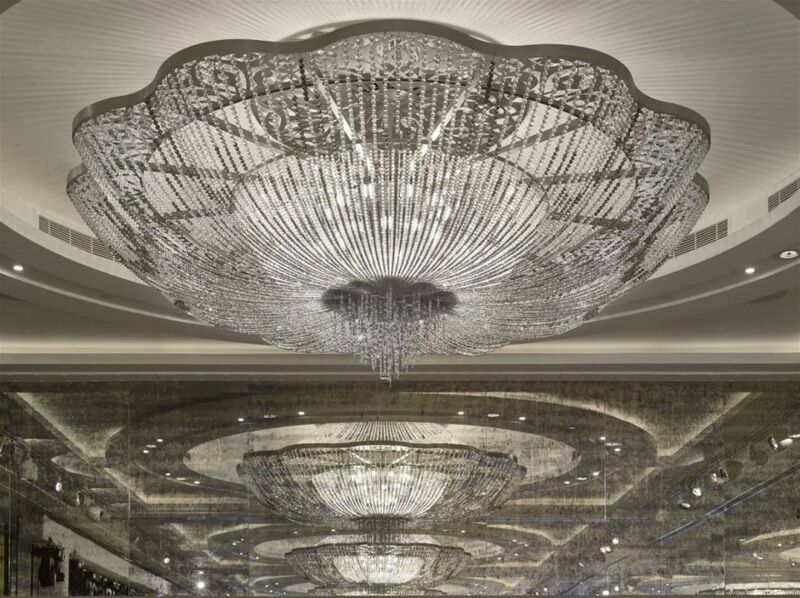 Preciosa, in collaboration with HBA Dubai, developed and produced ten sparkling chandeliers for the ballroom and pre-function area. 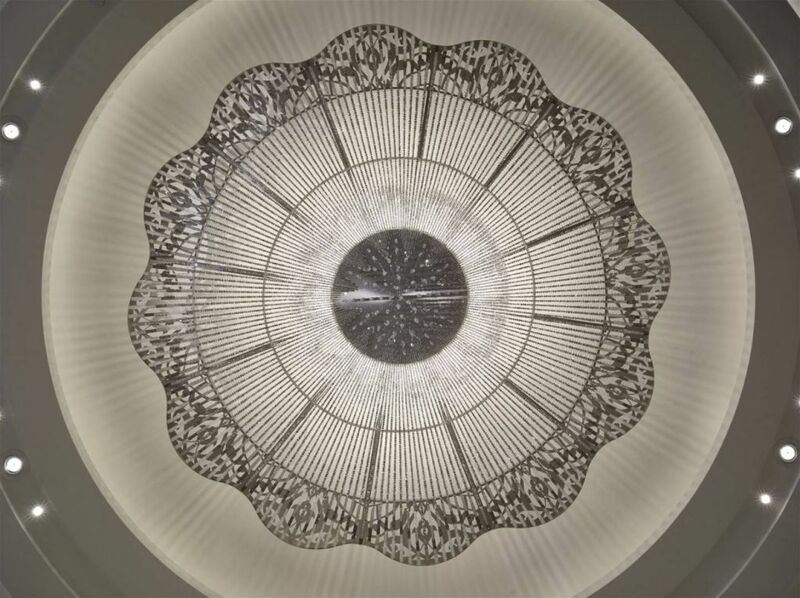 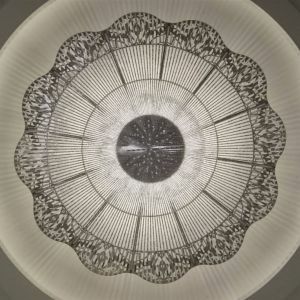 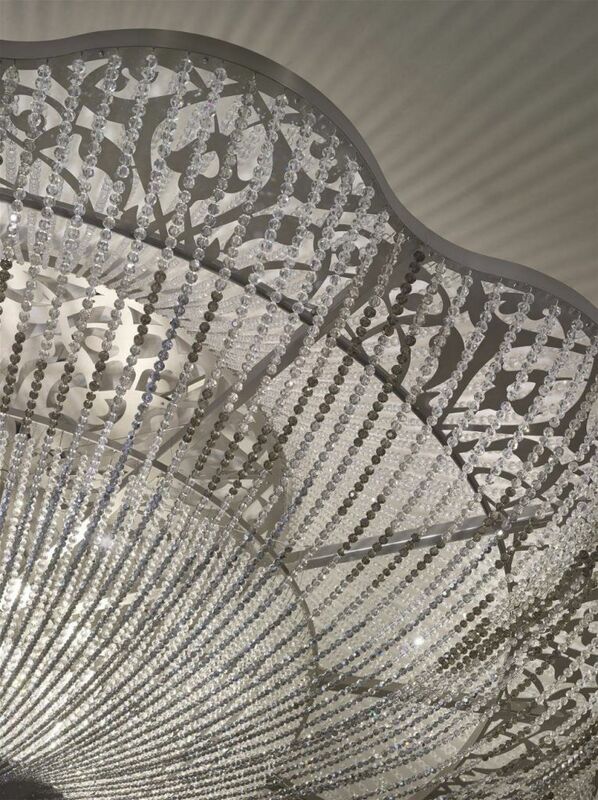 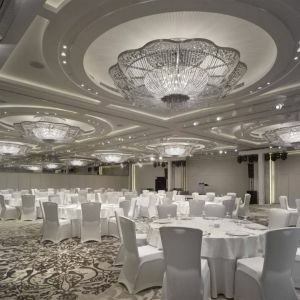 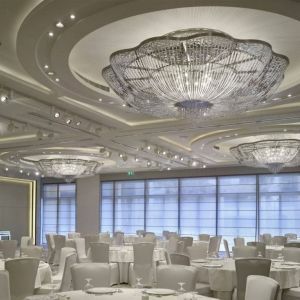 The chandeliers are 3 meters in diameter and are composed of hand cut crystal beads in various sizes and in colors of clear crystal, light smokey, smokey, black diamond and plated crystal. 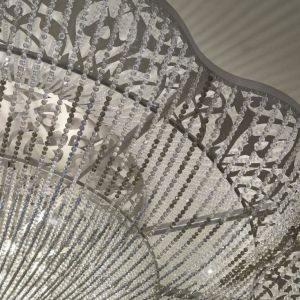 The chain composition of the beads creates a soft gradient of mid-dark grey to clear crystal, from bottom to top and the metal frame design corresponds to the carpet pattern. 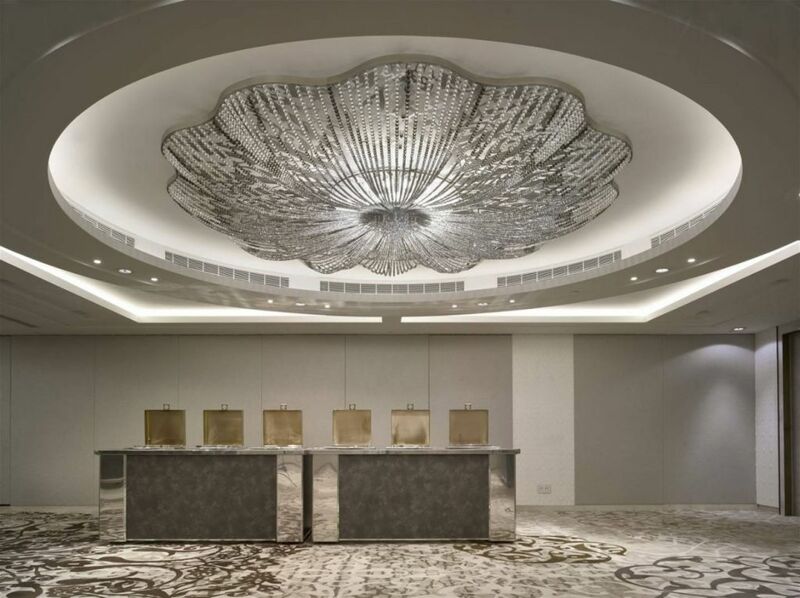 Clusters of three pendants made from hand blown crystal glass produced in Crystal Valley decorate the lobby and lobby lounge.